I’m just going to cut to the chase here and post up their SoundCloud account since they have most of their music there FOR FREE. So check out the list, and download! Support them as usual by following them on Twitter and liking them on Facebook! Also, check out Life Of The Party featuring S-Preme. It’s like HyperCrush on steroids. 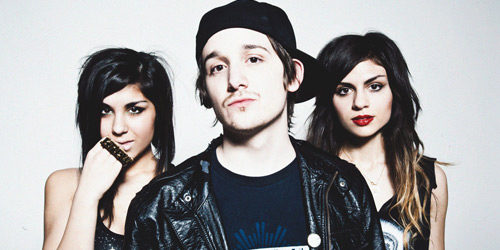 FOR MORE FREE KREWELLA TRACKS, CHECK OUT THEIR SOUNDCLOUD! I’m pretty sure this is what Ke$ha always wished she could be.